This dataset contains information about traffic cameras in Austin, TX.  Traffic cameras are owned and operated by the City of Austin Transportation Department and are used to monitor traffic conditions across the city. This feature layer shows the City of Austin's lamppost banner districts that are used in our Street Banner Program. The Urban Trails dataset describes a specific type of pedestrian and bicycle-user infrastructure. The ideal design of an Urban Trail is an off-street, 12 foot wide concrete path that can accommodate a variety of trail users including bicyclists, pedestrians, wheel chair users, parents with strollers, kids on razor scooters and so on. Since the first Urban Trails Master Plan was adopted in September 2014 not all existing trail segments in this dataset strictly comply with the guidelines described in Appendix A: Trail Design Criteria of the Urban Trails Master Plan. The Urban Trails network is intended to be a part of the greater Active Transportation Network and may relate to the on-street bicycle network or the sidewalk network, as well as City of Austin parks. In this dataset, many Urban Trail endpoints connect to the City of Austin’s streets dataset or the City of Austin’s parks dataset. This file prioritizes general improvements to regional on and off-street bicycle corridors in the CAMPO 2035 Regional Transportation Plan.